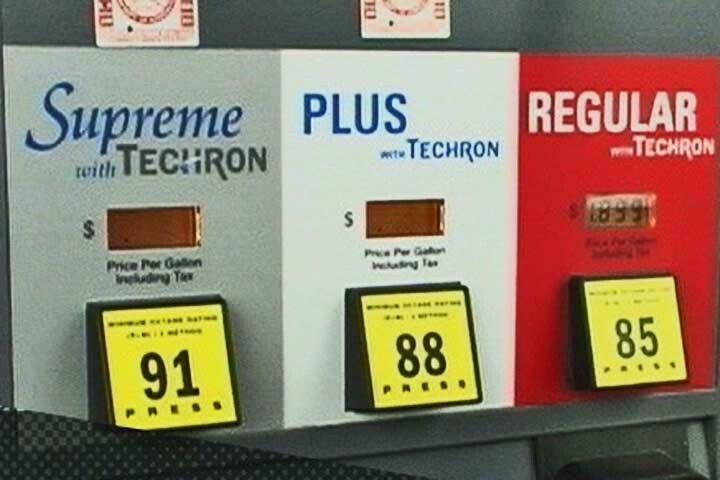 High gas prices in Poplar Bluff increase the cost of living for Missouri drivers. You've probably budgeted a certain amount for vehicle related expenses. Increased fuel costs now consume a larger portion of our incomes, causing some Poplar Bluff vehicle owners to skimp in other areas – like scheduled maintenance. According to Missouri news reports and automotive industry studies, this is becoming increasingly more common. In fact, nine out of ten personal vehicles on the road have at least one maintenance or repair item that hasn't been done. Some of these items pose serious safety risks. Others are just more likely to make it more expensive to drive. In this area, we can take a lesson from professional Poplar Bluff vehicle owners. I'm talking about fleet owners and operators. You know, Poplar Bluff folks like the trucking companies and delivery services. Because their livelihood depends on it, they have gotten scheduled maintenance down to a science. And the last thing they skimp on is regular maintenance. Why is that? Well, for one thing they know that routine maintenance prevents expensive repairs and costly breakdowns. They also know that a well-maintained vehicle uses less fuel. For them, even a small decrease in fuel efficiency may put their Poplar Bluff business in the red. Ring any bells? Can most Poplar Bluff vehicle owners honestly say that there isn't at least one thing on the list that hasn't been done? Let's suppose you chose to spend $150 and get caught up on some of these services at Charlie's Fast Lube Poplar Bluff. Figure that they combine to improve your fuel efficiency by 15 percent. What would that mean to your pocketbook? Well, the average personal vehicle in Poplar Bluff is driven about 12,000 a year. If you get 20 miles per gallon in your vehicle, over the course of one year you would pay for the $150 worth of service and save an additional $165 dollars if gas is at t$3.50. If gas is $4.50, you would save $255. And you'd rack up savings of $345 dollars with gas at $5.50. From this you can see that the more fuel costs, the more it pays to keep up on scheduled maintenance. Some of us drive trucks in Poplar Bluff for work or recreation – or want a large SUV for family needs. A 15 percent improvement in fuel economy can generate huge savings – $650 a year if gas is $4.50 a gallon in Poplar Bluff. Take a look at this table to see where your savings could lie. So catch up on those services you've been neglecting at Charlie's Fast Lube Poplar Bluff. Get a couple done now and a couple next time. Chances are you'll save a lot of money at Poplar Bluff gas pumps this year – and a lot more on repairs in years to come.